In a large skillet, add about 1 tablespoon of oil for frying. Warm the oil on medium high heat. When hot, add in the drained salmon and stir fry. When browned and fragrant, remove from heat and set aside. Pour the egg into the skillet and swirl with chopsticks or a spatula to scramble. When cooked through, remove from heat. 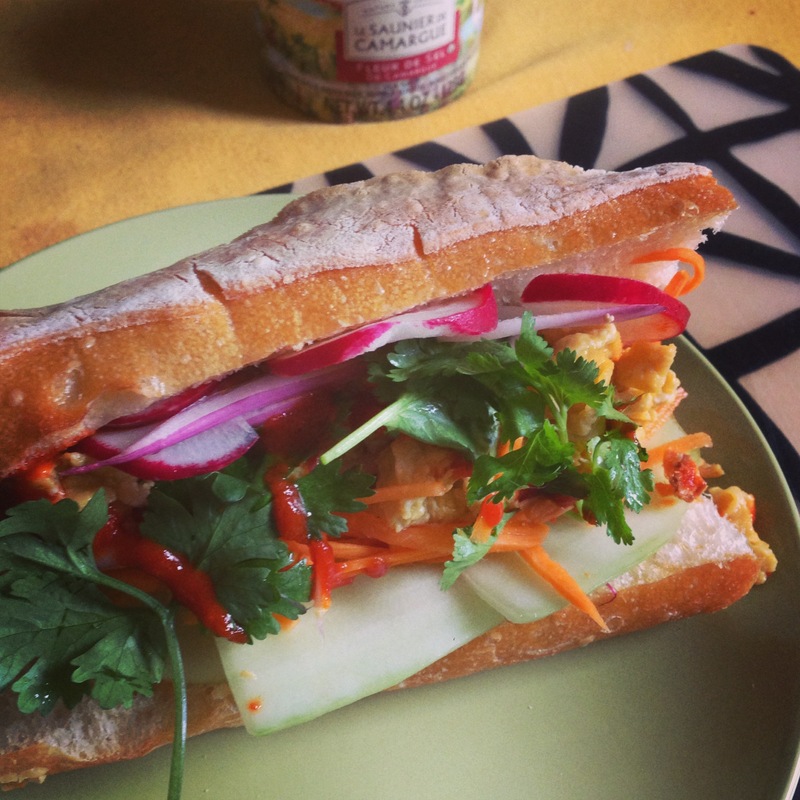 Place half the egg and half the salmon on sliced baguette and add banh mi toppings (pickled carrots and radish, cilantro, sliced cucumber, and sriracha.